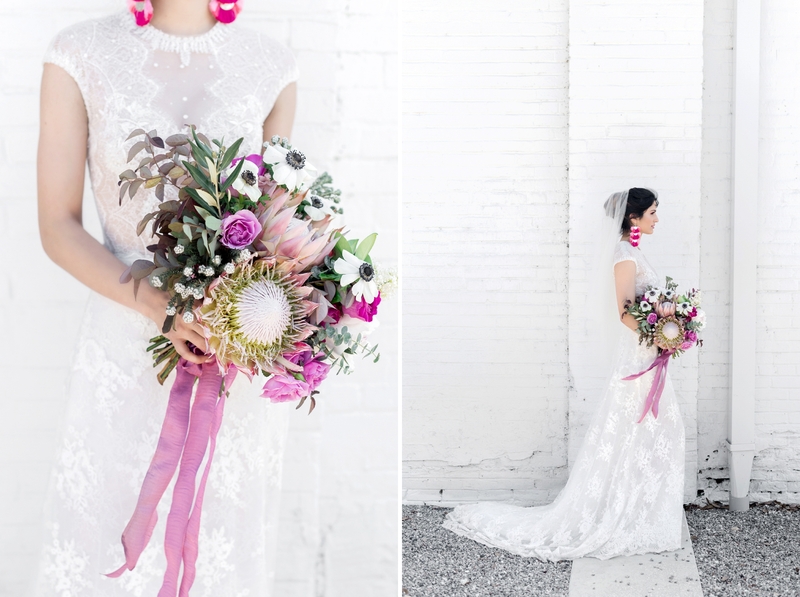 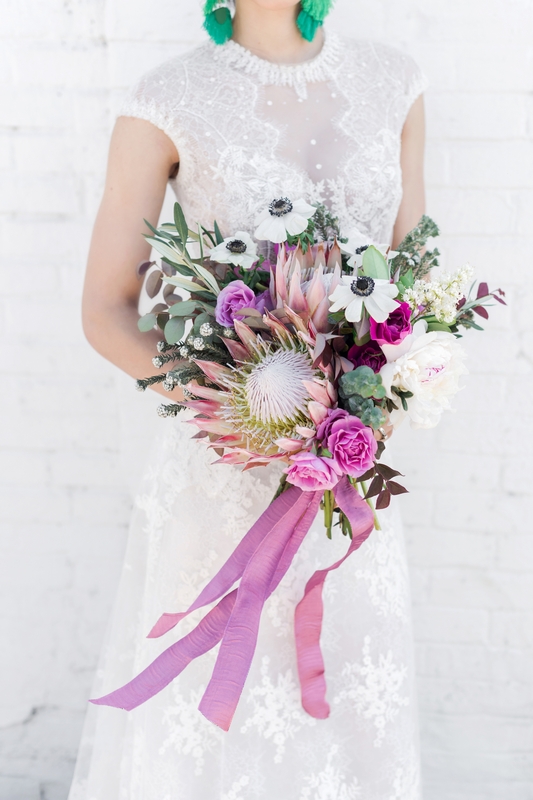 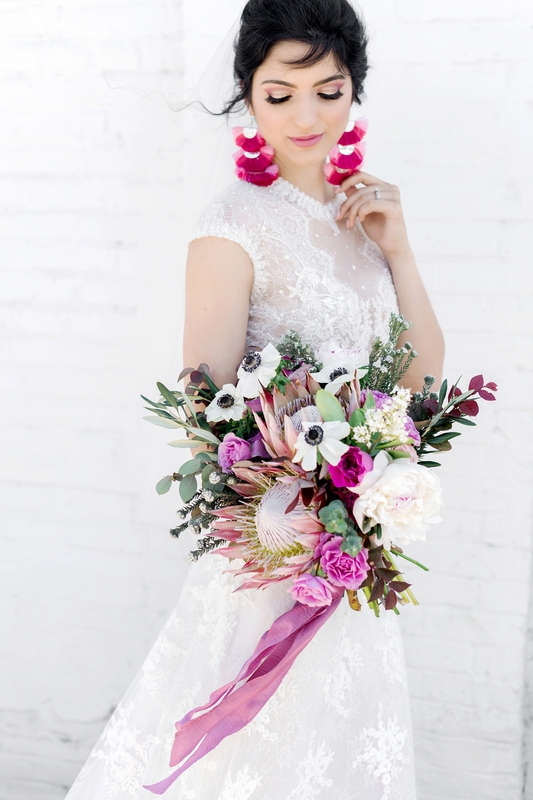 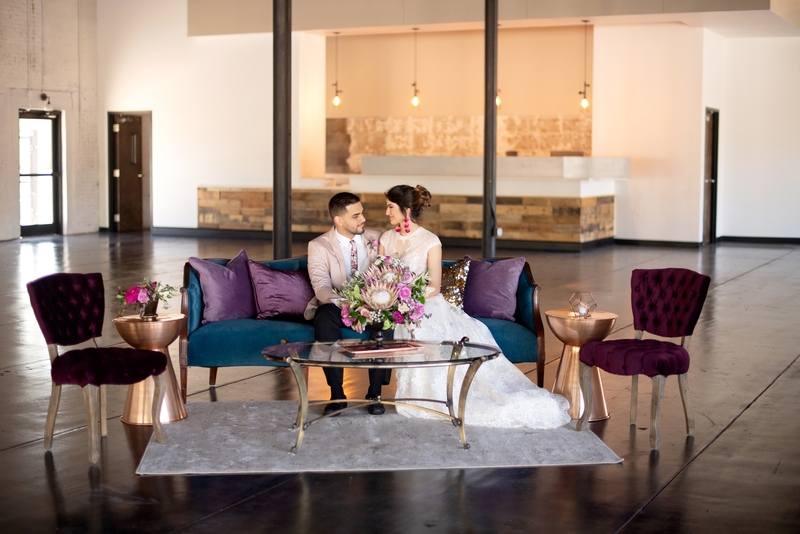 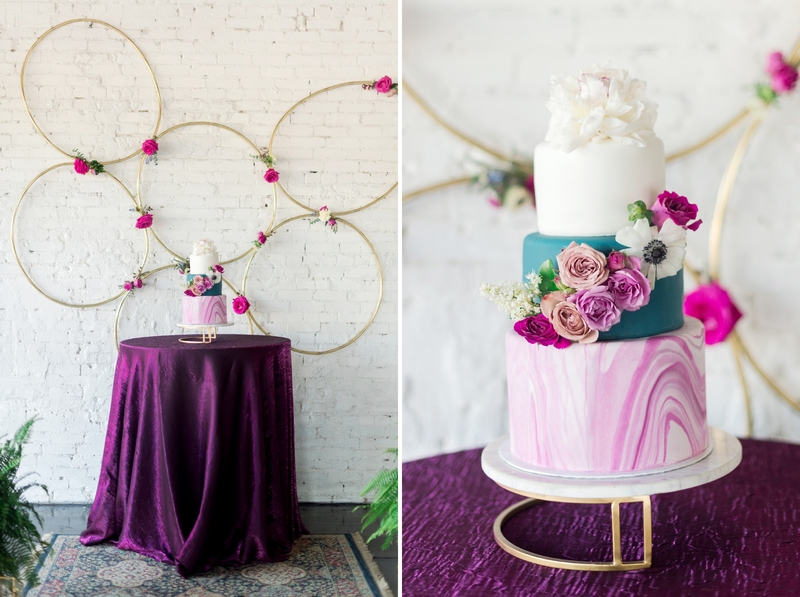 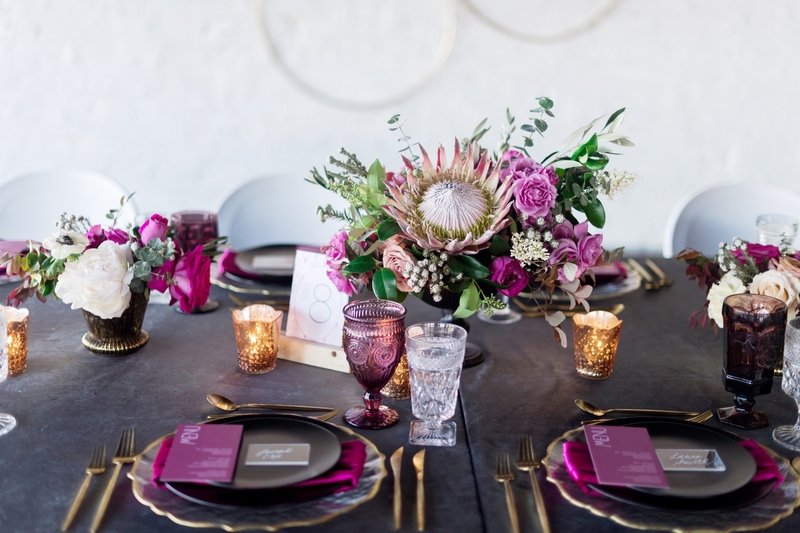 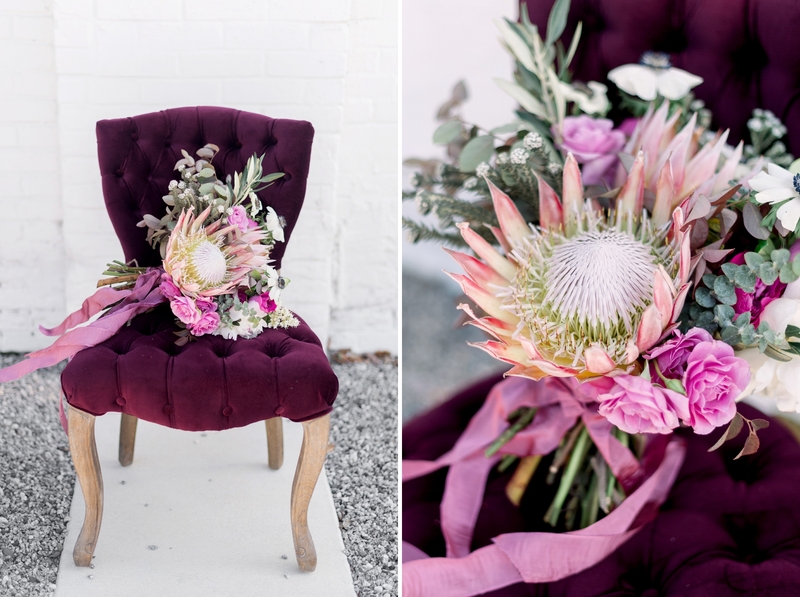 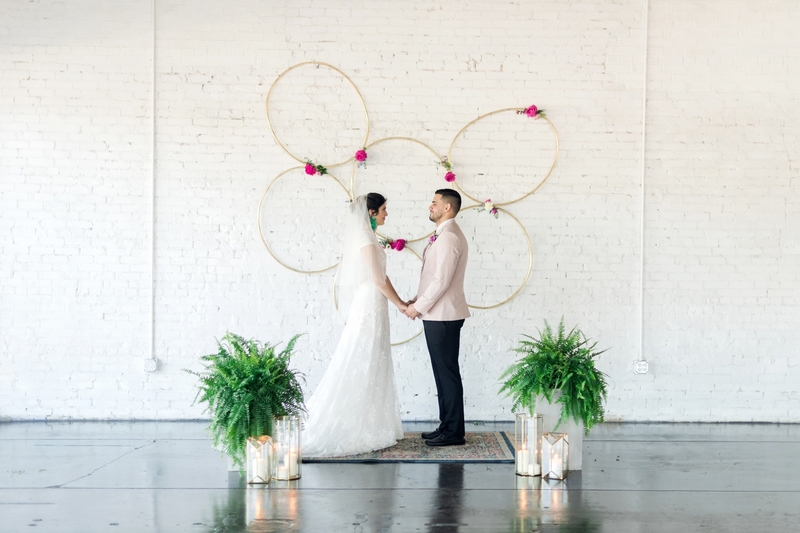 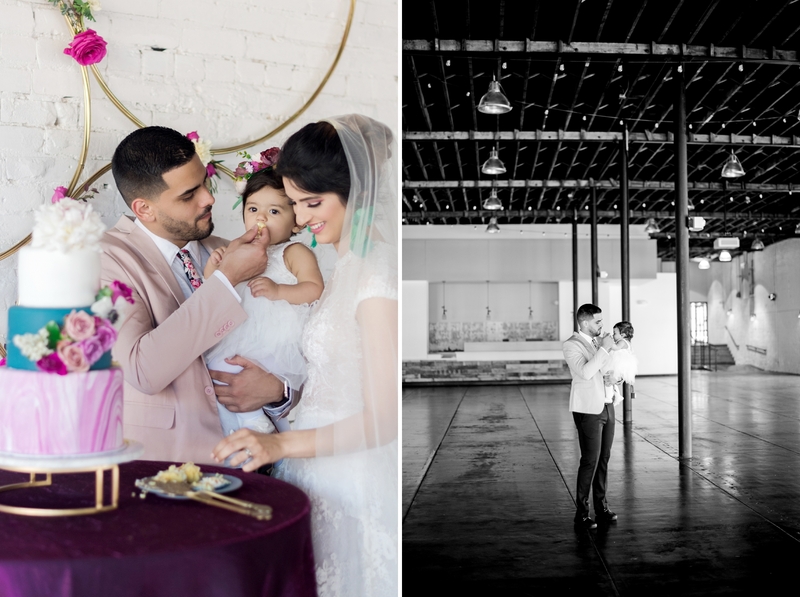 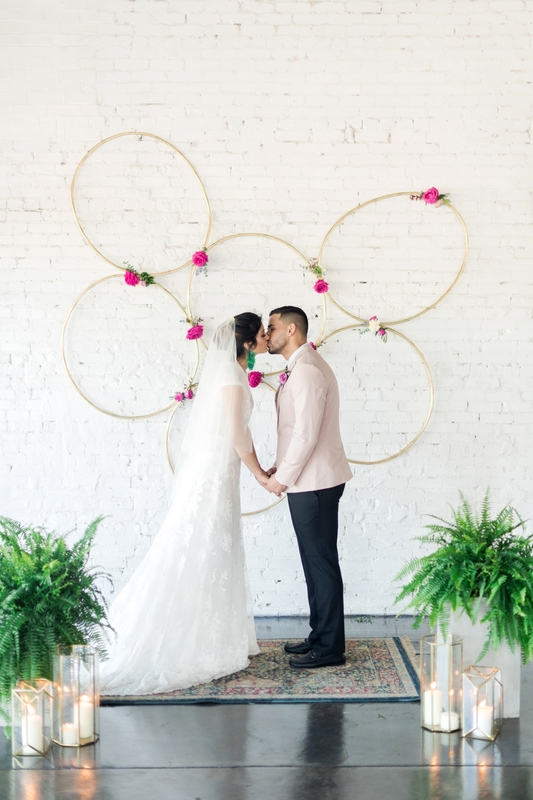 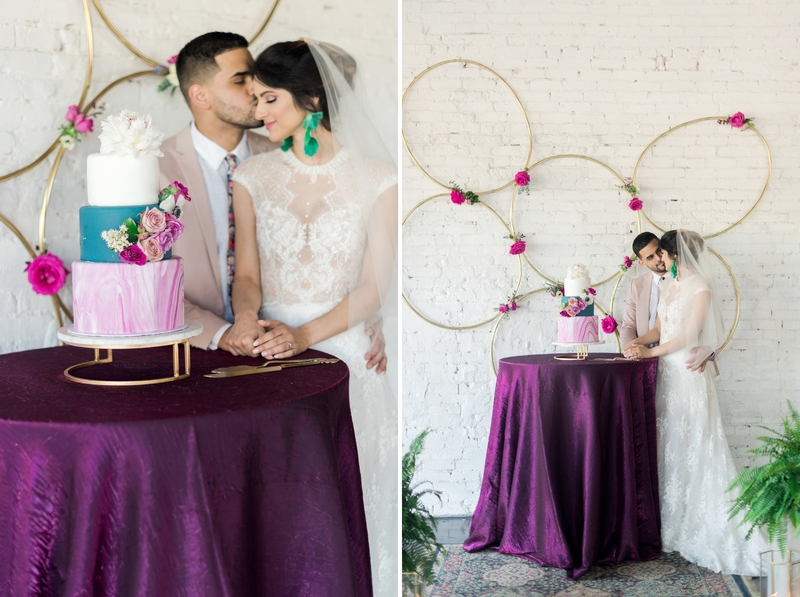 This amethyst and Protea loft wedding inspiration at Haus820 in downtown Lakeland, FL was a modern take on a traditional style! 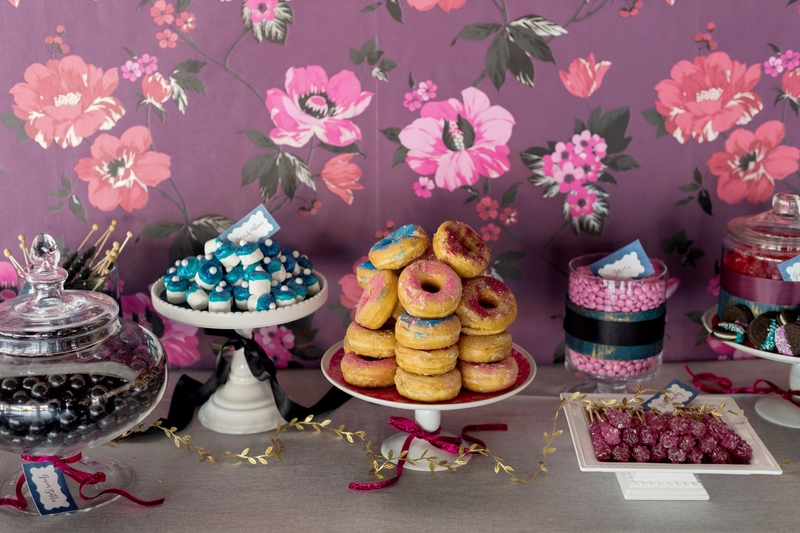 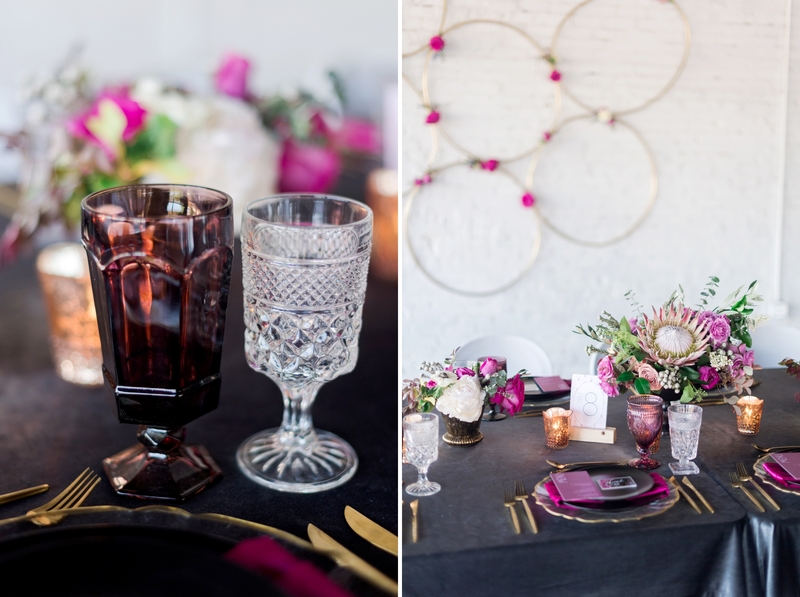 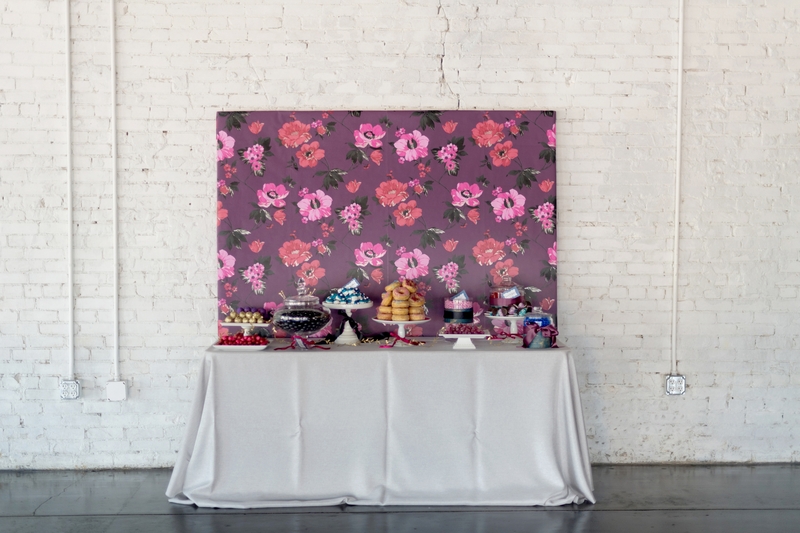 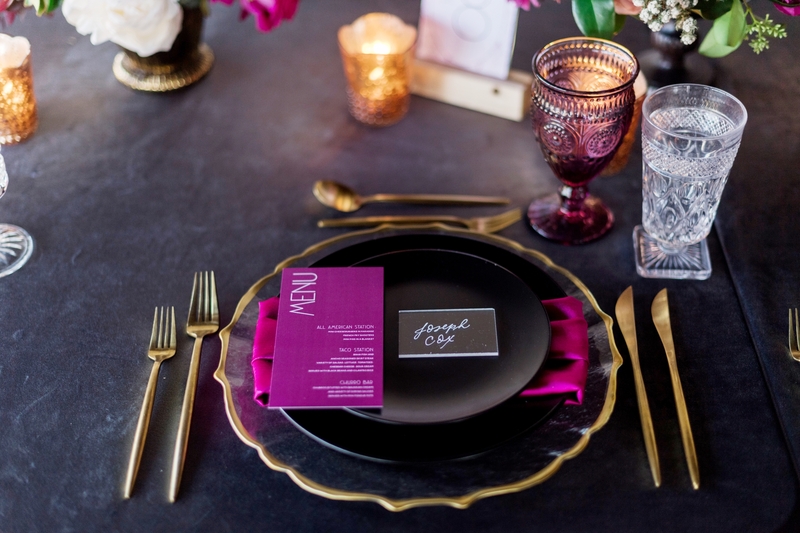 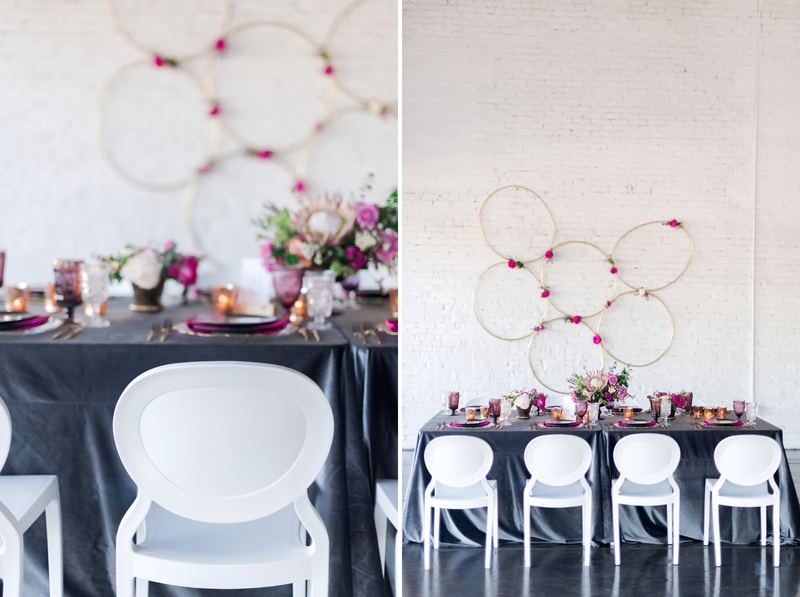 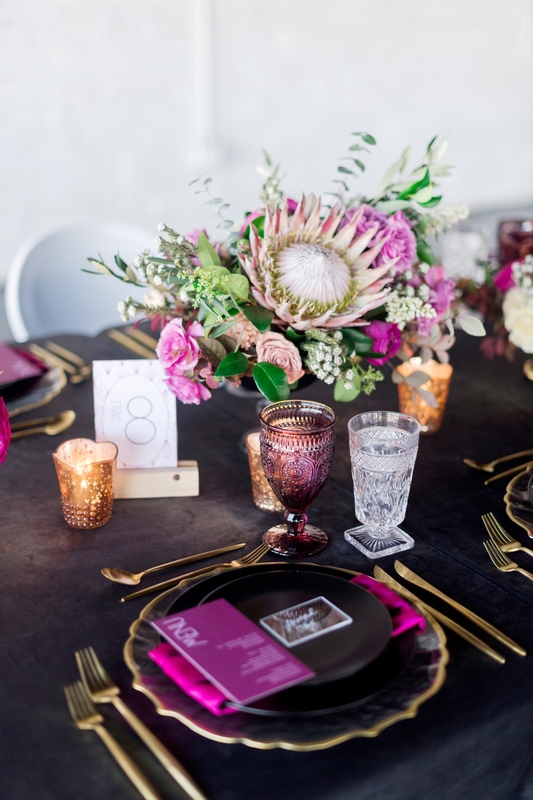 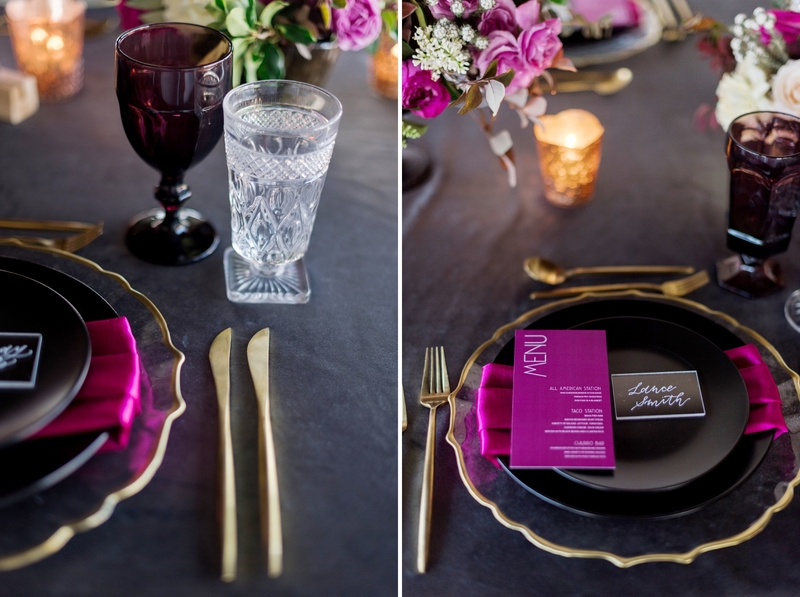 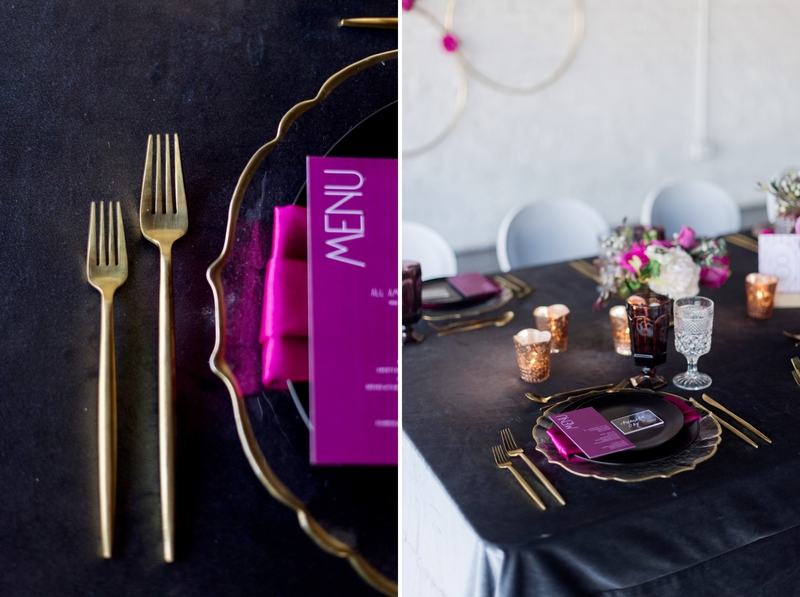 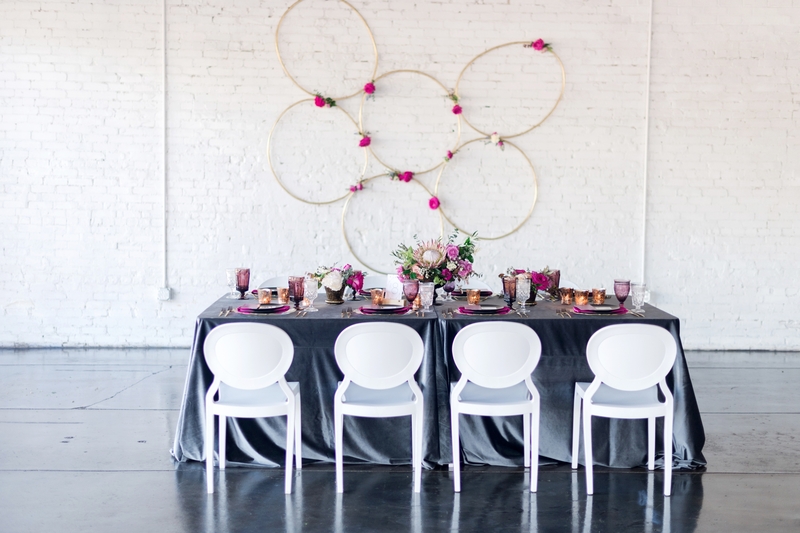 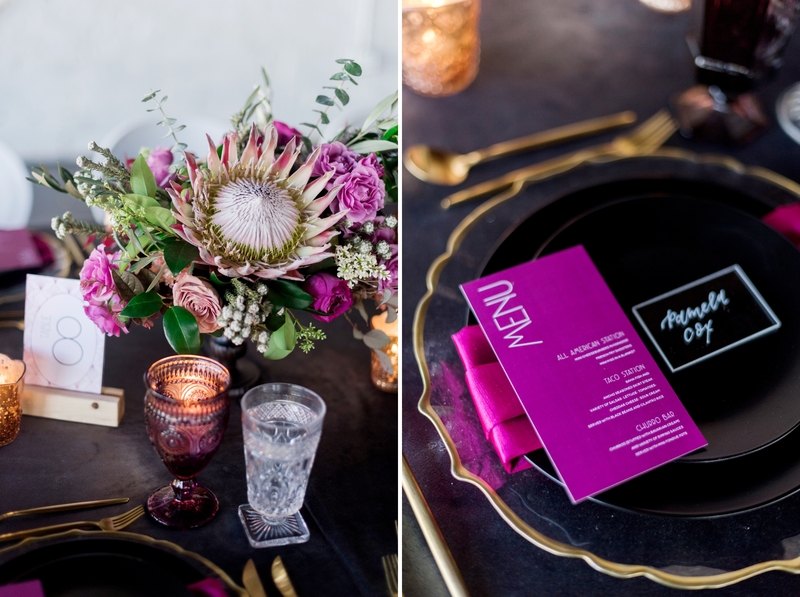 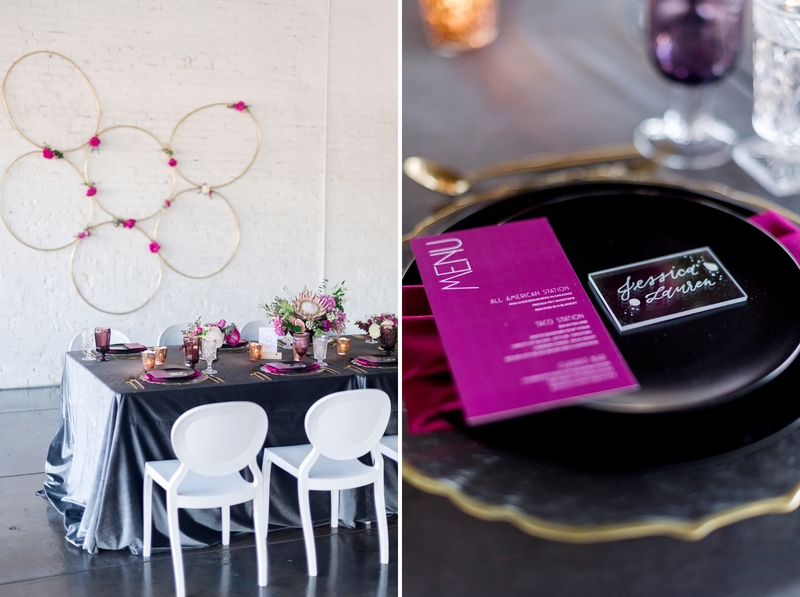 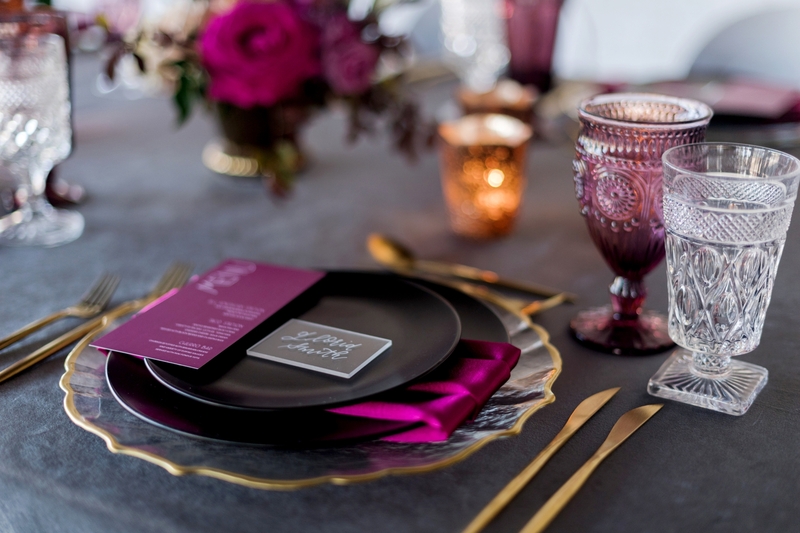 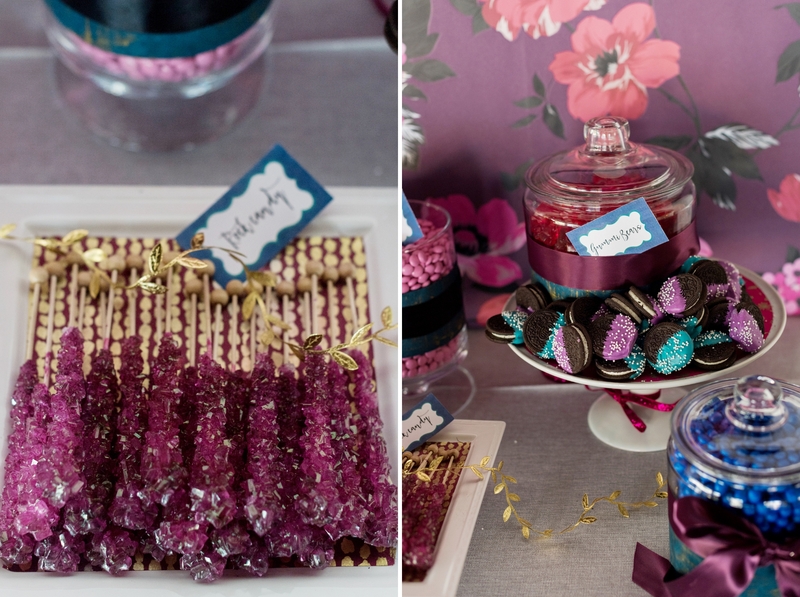 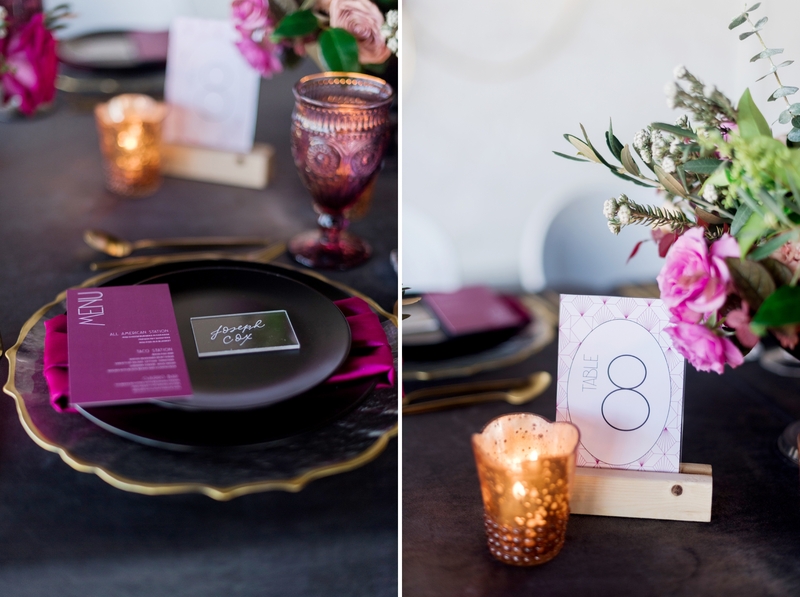 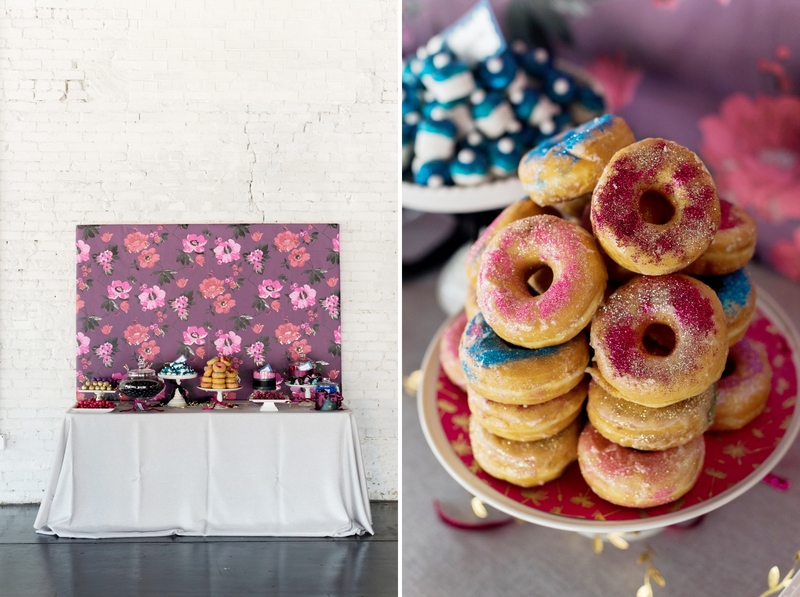 Originally we were contacted by Julie from Covington Events to collaborate on a jewel-toned warehouse shoot. 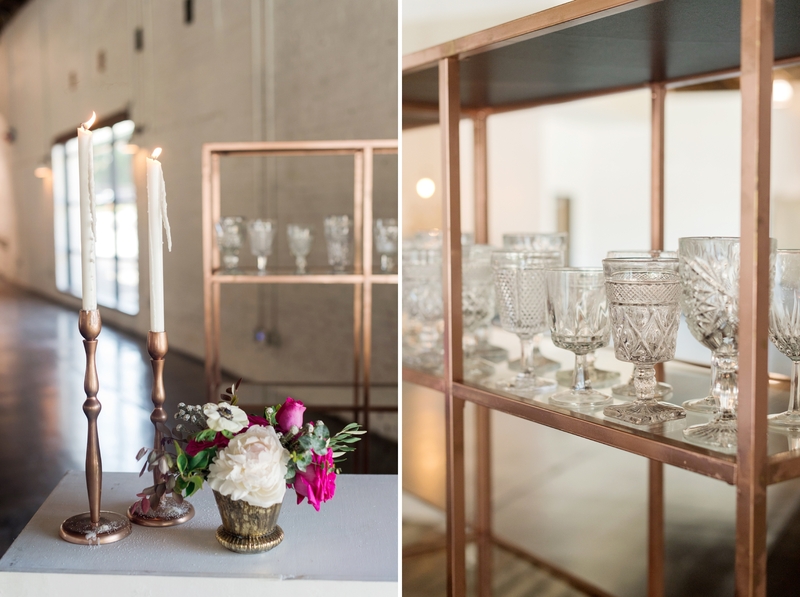 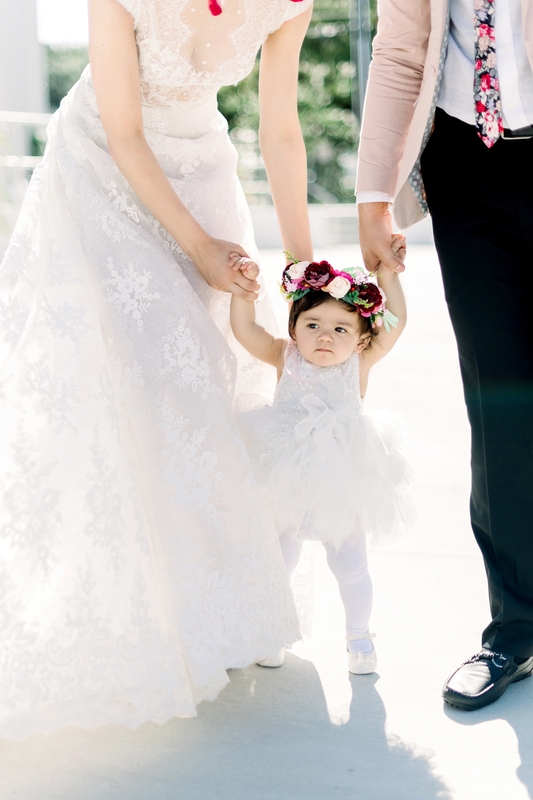 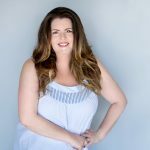 Since she was in the very beginning of the design stage, we got to bring in some of our favorite vendors to help us! 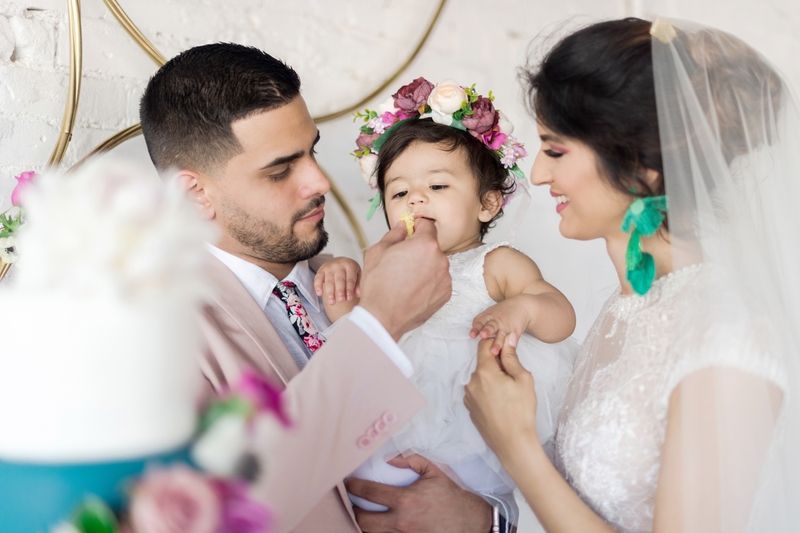 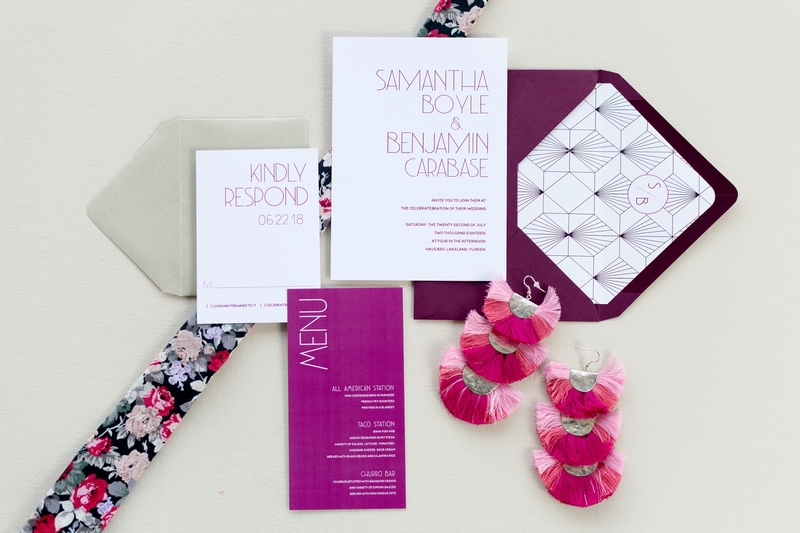 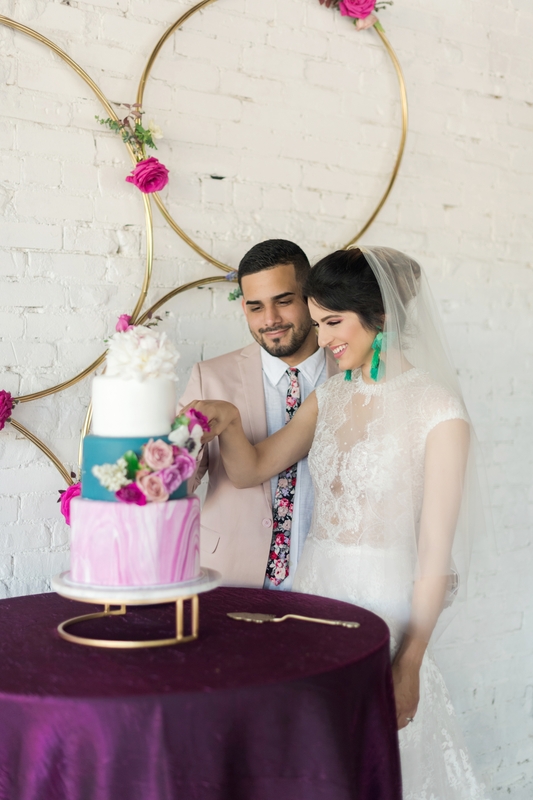 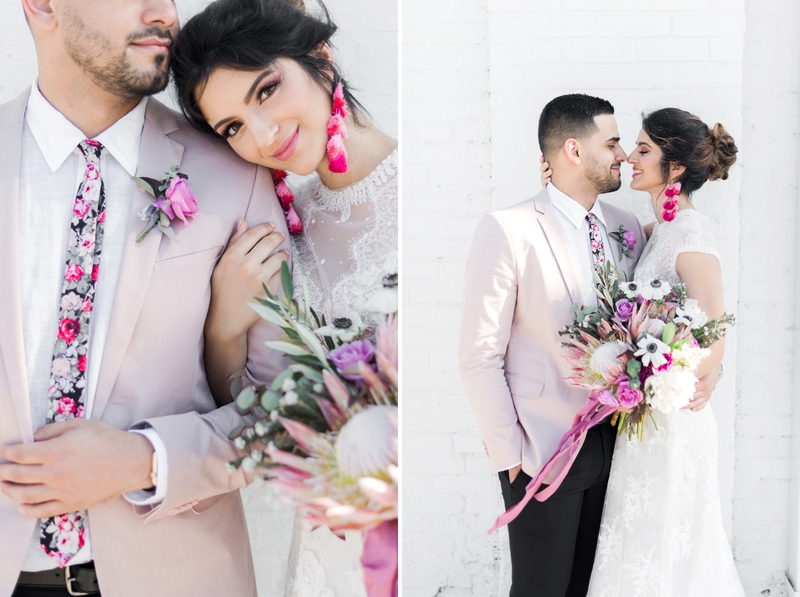 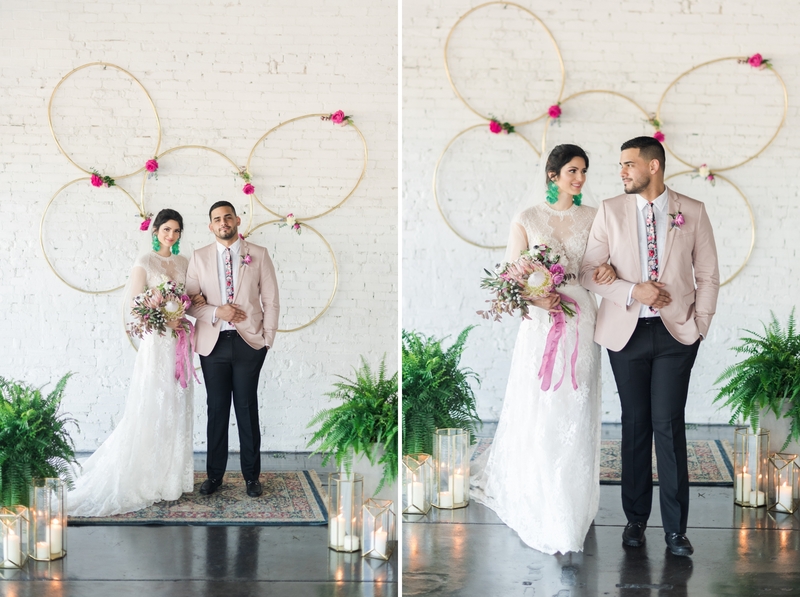 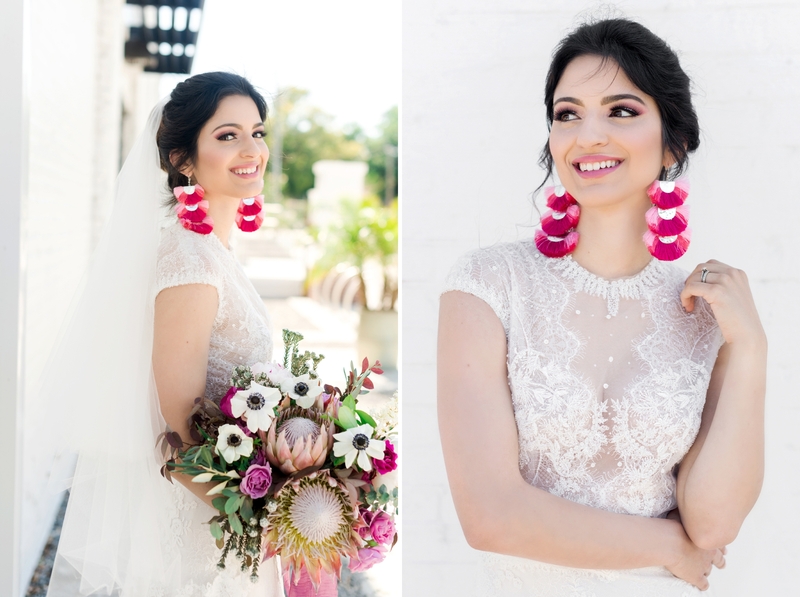 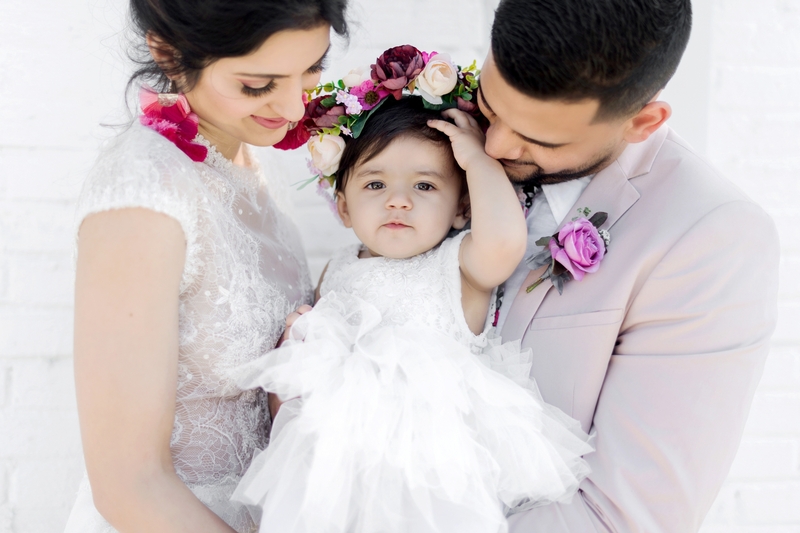 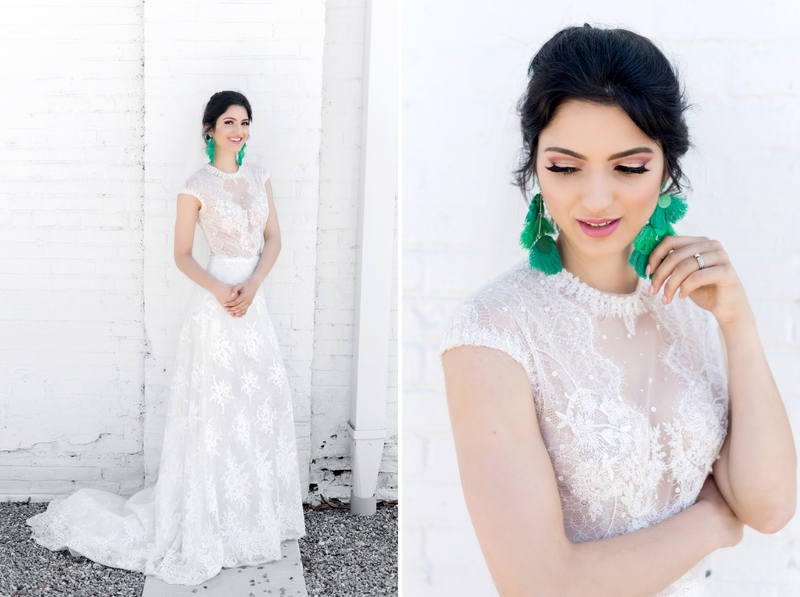 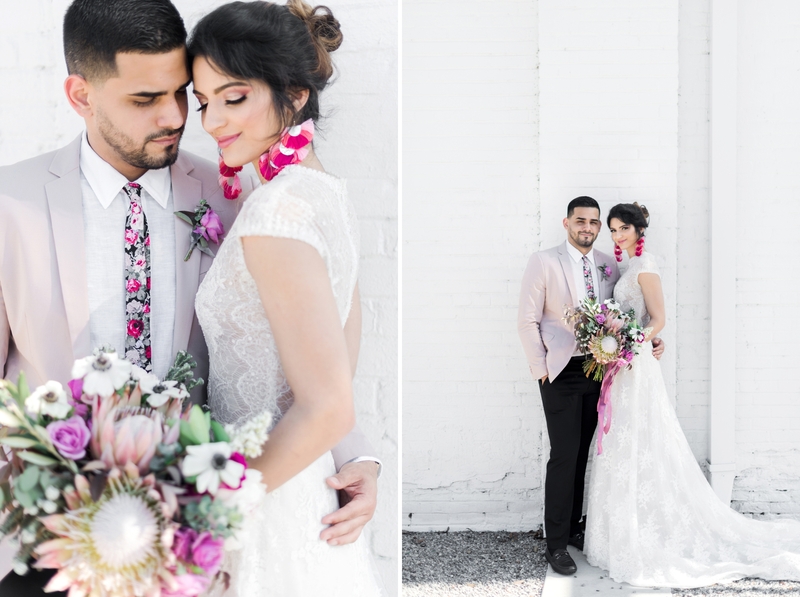 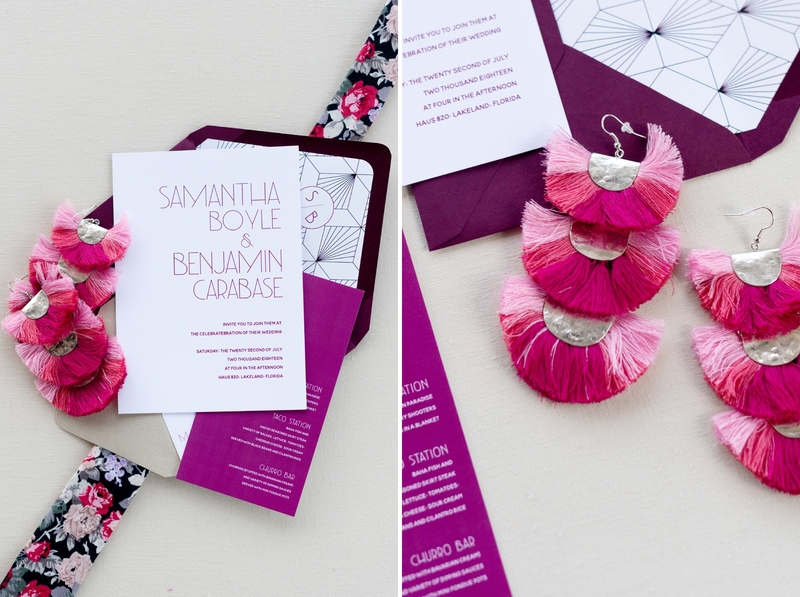 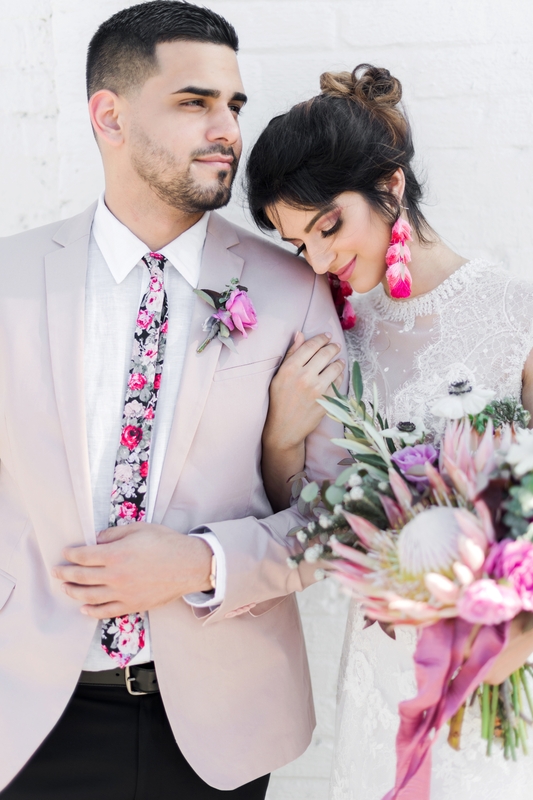 Aside from the original inspiration, I really wanted to bring in unique attire elements – like a pastel pink suit blazer, floral tie and tassle earrings! 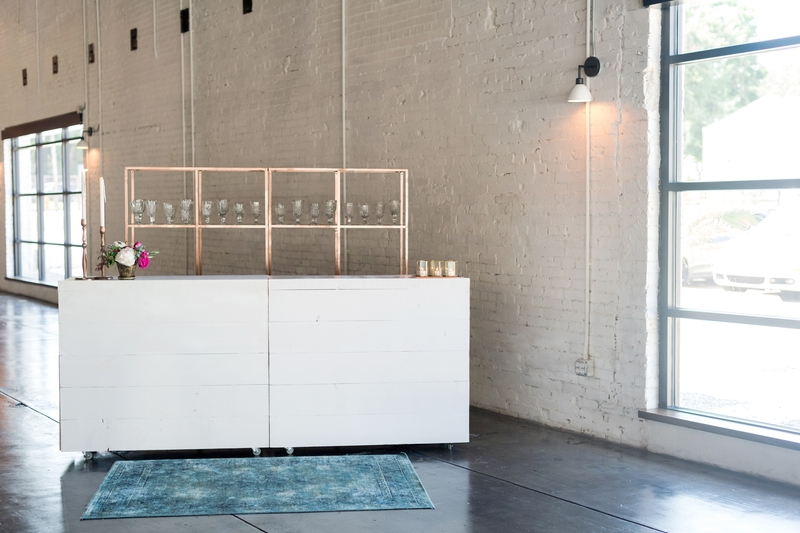 Our fantastic vendor team spanned the entire state – with business owners contributing from Tampa, Lakeland, Orlando and Jacksonville!